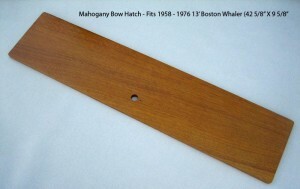 Replacing or Restoring your Classic Boston Whaler 13 Footers Seats and Interior Wood. Once you are finished fixing soft spots, filling dings, glassing cracks, replacing hardware, etc… you are going to need to decide whether to refinish or replace your seats. As a general rule of thumb if your seats are warped then replace them. If they are straight then you can refinish them. 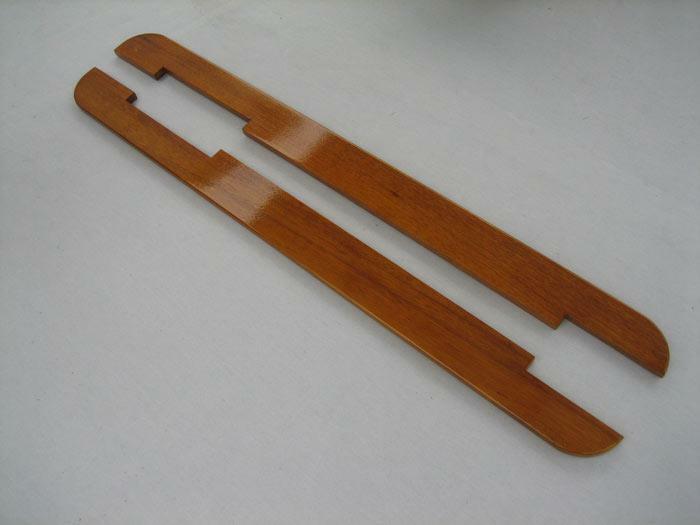 To refin ish mahogany seats you simply need to sand and strip them and apply a few coats of exterior varnish. A liquid stripper is fine and should be followed up with a good sanding. 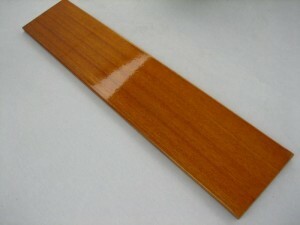 If you wish you can stain the wood but since it is mahogany the wood will be beautiful in its natural state. 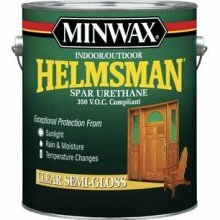 Make sure to use the spar type varnish / urethane that is made for outdoor applications. (see picture) The indoor polyurethane will only last a short while in a salt and sun environment. If you choose to replace your seats you can get them from www.specialtymarine.com . Their prices are good and they deliver quickly. I had mine in just a few days. I chose to replace mine since they were warped and had holes drilled everywhere. I bought all the wood including the side panels for less than $500. 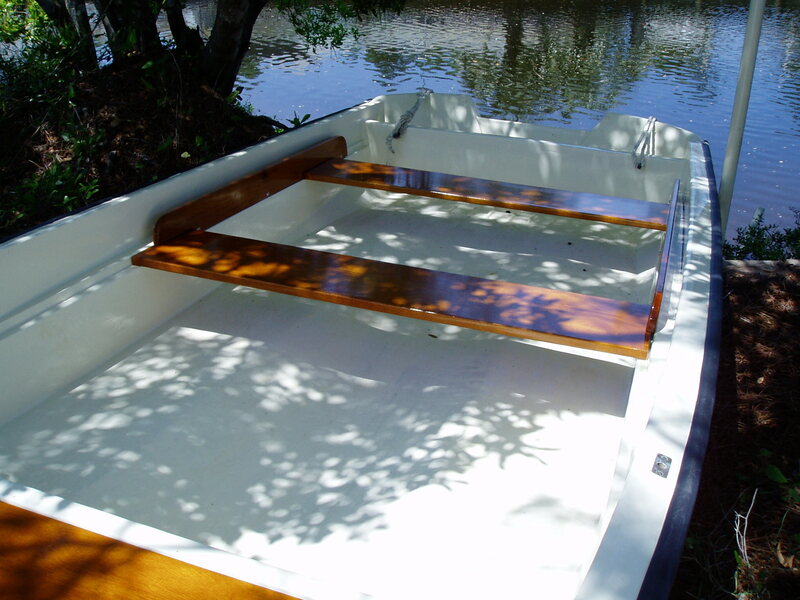 When you replace all the wood in the boat you are going to want to make sure the holes that you screw into are able to hold a screw. Oftentimes the screw holes become stripped which is common with fiberglass. Before I put my seats in I filled all the previous holes with epoxy. Once the epoxy was set I redrilled small tap holes and installed the wood. Also, I squeezed in some 3m 5200 to waterproof the hole. This is mostly common sense but worth mentioning.